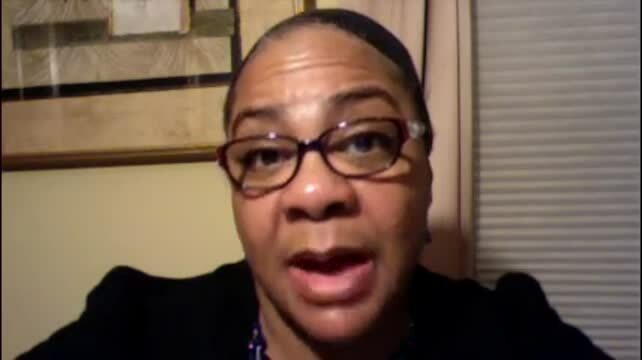 Andrea Dudley is an AWESOME voice in our world today of mixed signals, mixed messages and confusing pathways. She is the voice of clarity and has clear systems and remedies to bring life to those dreams that have died inside of you. Whether is a song she will sing, a book she will publish, or through a message behind the Sacred Desk Dr. Dudley is the TRUTH. I have experienced it and seen it in demonstration in our church, our family and my coaching network business. I met Andrea 20 years ago where she and Michael were the pastors of a church in Milwaukee. God moved in my life that day. After that event she kept in touch and mentored me to make sure I understood what it meant to be a man of God. Years later I'm married with 2 beautiful children. I am still in touch with my spiritual mother. Andrea, is a dynamic individual who has a very unique and cutting edge approach. Whether its motivational speaking, mentoring, writing, and character development, Andrea will help you push yourself to the next level. I've know Andrea for close to 30 years, and I can honestly say that she has been one of the most influential people in my life. Consider Andrea for your next project, she will help you bring out the best. She approaches everything with a spirit of excellence, and you will get 110% from her each and every time! Thank you Andrea for being dynamic! Sydney says... I have been working with Mrs. Andrea Dudley for about three months now. This has been the first time I have really had vocal training consistently. And because of her helpful tips and the vocal workouts she has me do, my voice has improved greatly. There were things that as of three months ago I could not sing or I did not feel comfortable with doing, and now those things have become much stronger points in my voice. I am learning many different genres to have all different sorts of vocal experience, and I can honestly say that I couldn't have gotten this far without her. I am so happy with the progress I have made in such short time and I can't wait to continue on! The entire experience of writing my book and working with Andrea was empowering, liberating and transformational. I would highly recommend that anyone who wants to write a book to take Andrea's Birth Your Book in 90 days coaching program. I wanted you to know that I have reached my goal and feel great!!! I truly thank you for encouraging me to try the products. May God continue to shower His blessings on you. Working with Andrea has been pure joy. She has worked tirelessly to help me publish 7 books. Her ability to understand what her client is looking for and the know how to give it to them is amazing. I couldn't be happier with her professionalism, her patience and with her caring attitude. I would definitely recommend working with Andrea. You will not be sorry. She is the one for the job. Andrea and staff at Radical Success Institute with Doreen Rainey & Steve Harvey. Andrea with Pastor Aggy in South Africa. Andrea and Michael in Cana, Israel. Andrea and her husband Michael with John and Evaughn High, Milwaukee, Wisconsin. Andrea and Rev. Arnita Traylor after speaking for the women's service. Andrea with Pastor Aggy & Solo Kgasoe in South Africa. Andrea and the co-authors of "It's Possible: Living Beyond Limitations", at the book release party.